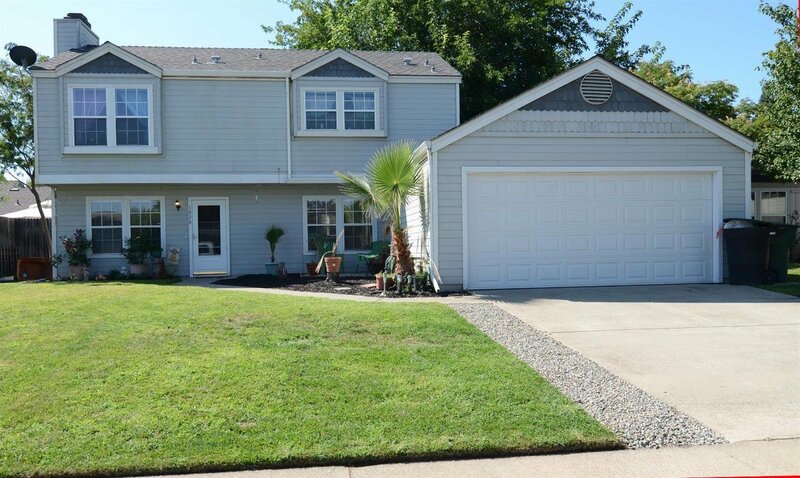 GREAT VALUE in this West Roseville Charmer & a WONDERFUL HOME for the entire family. 4 Bedrooms 2 1/2 bath home. Beautiful laminate floors, wood burning fireplace, HUGE KITCHEN and dining area with plenty of room for everyone! BEAUTIFUL tiled shower in guest bath. Gorgeous kitchen cabinets with closet pantry. Home has central heat & air, dual pane windows and ceiling fans. NICE SIZED BACKYARD with lots of grass! NO MELLO ROOSE & NO HOA! Prime location with walking distance to Oak Elementary School, Silverado Middle School & Woodcreek Oaks High School, Aquatic Center, park, library, restaurants and Shopping! Listing courtesy of Franklin Realty Group, Inc.. Selling Office: Dean Adams Residential R.E..